Beacon Vacations is currently in the process of forming a group trip to Germany, specifically to Oberammergau for the Passion Play. The passion play is performed every 10 years so if you miss the trip in 2020 you will have to wait for 2030. 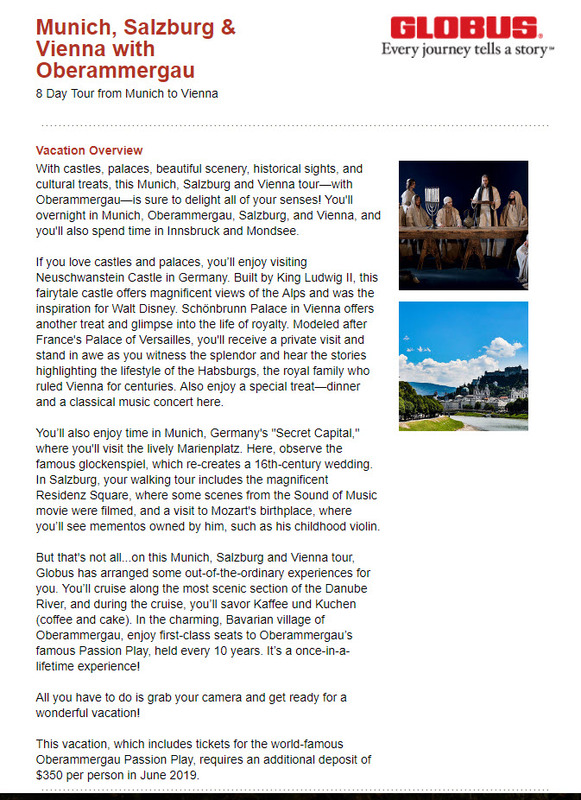 This trip includes many stops in Germany as well as Austria on an 8 day tour. Details are below. Please contact Terry at 712-256-4781 or by email to terry@beaconvacations.com.